Students were lined up down the sidewalk cheering and chanting. Parents were waiting in the wings taking videos and pictures. Music was pumping, and the energy was palpable. Even neighbors made their way outside to see what all the commotion was about. 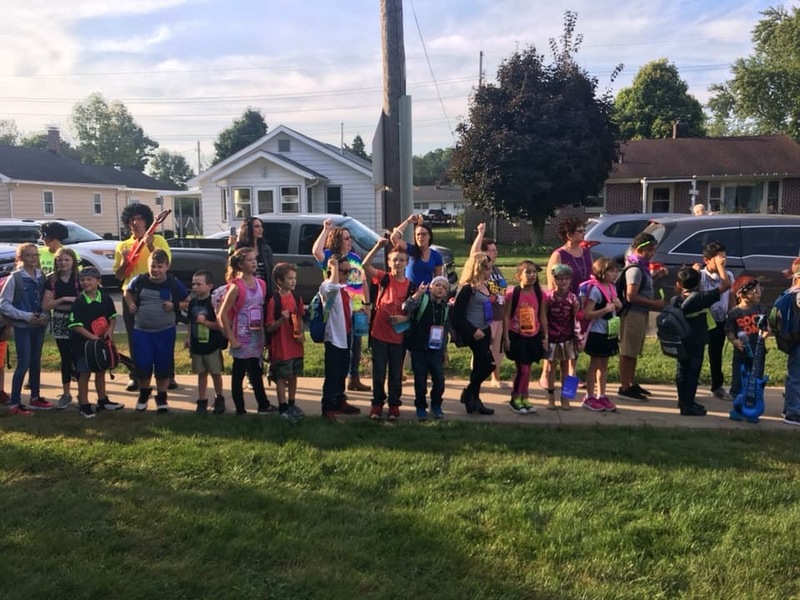 While this type of enthusiasm is normally reserved for a rock concert, it was 8:30 in the morning on a Thursday in September, and the students at Hailmann Elementary were waiting to get into school. Hailmann took part in Get Your Teach On’s Rock Your School event, which is a day where educators from around the world create innovative, out-of-this-world lessons all day to inspire a love of learning and of school. After attending a Get Your Teach On conference last year, Hailmann teachers Jessica Banic and Laurie Scroggin knew the Huskies could pull this magic off. “Laurie Scroggin & I went to a GYTO conference last October and have been following them on social media ever since. As soon as they posted about Rock Your School, we knew we HAD to participate!” Banic said. Participate they did. With the theme of Rock Stars, Hailmann morphed in a real life rock concert. 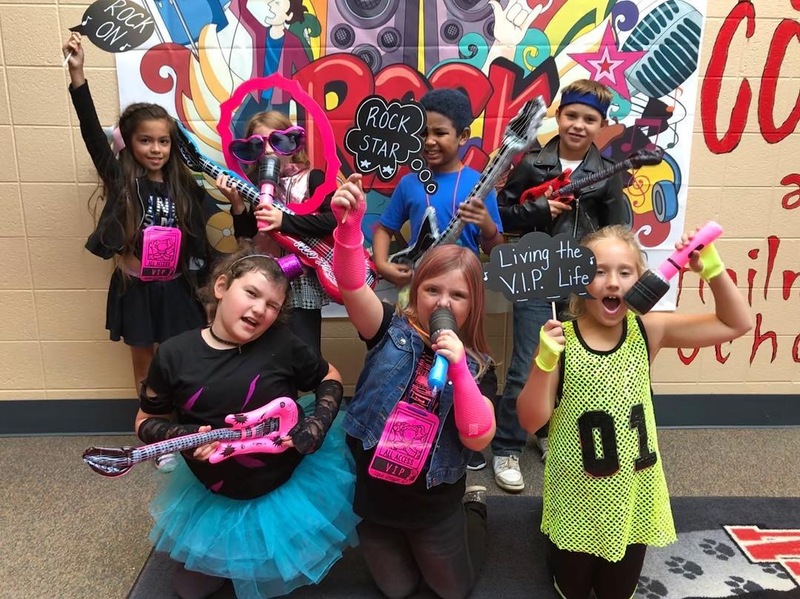 Staff and students were decked out in Rock Star attire, ranging from fake guitars to mohawks to band merchandise. 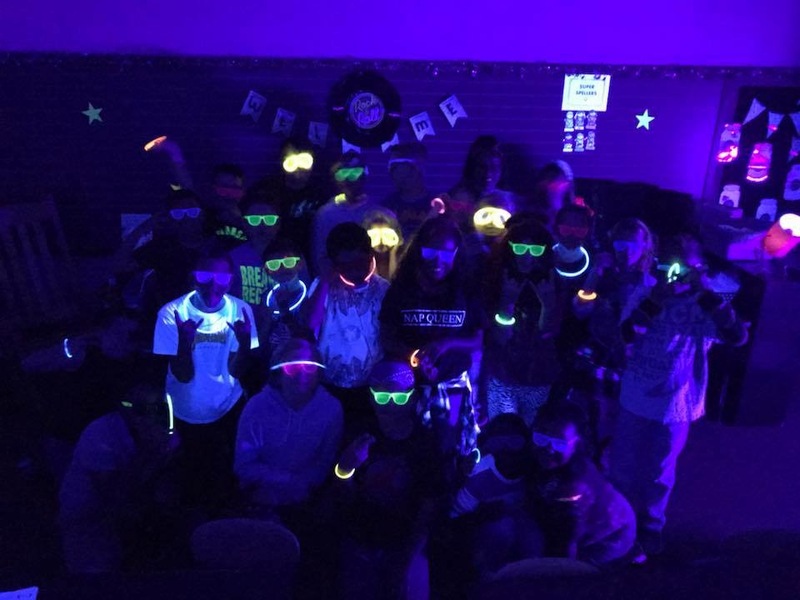 Red carpets, disco balls, black lights, glow in the dark glasses and bracelets, balloons, photo booths and more lined the halls, classrooms, and the gym. No detail was overlooked. The Husky staff completely bought into the idea. “Every single teacher transformed their classroom and created amazing, engaging lessons. All of our specials teachers created rock theme activities. Our music teacher wrote TWO songs of his own for our prep rally. Even our cafeteria added star fruit to the lunch menu! Some staff members worked at school or from home until 10 p.m. the night before!” Banic said. The effort from staff members took the ordinary act of attending school and turned it into a day that students will never forget. Cheers of “This is the best day ever” rang loudly and frequently down the halls as the students could not contain their excitement. Their entire day was filled with out-of-the-box lessons that challenged them academically. The staff had been preparing for weeks to make this day the magical event that it was, and the students responded in kind. There was no place they would have rather been than at their beloved school. One parent even commented in the morning on Hailmann’s social media page how upset her child was to be at home sick instead of at school. Just some of the incredible lessons included: Black light Spy Lab, Rounding Glow Jenga, karaoke spelling words, Glow Close Reading activities, STEM activities, the library read and danced to Saturday Night at the Dinosaur Stomp, gym danced with strobe lights, Title 1 groups learned and performed educational remakes of popular songs, reader’s theater, HeadBandz review activities, rock & roll math centers, and so much more. To call it a success would be an understatement. It was a day the Huskies will not soon forget, but now eyes are already set on next year. “GYTO announced yesterday that it was going to be an annual event, and we were so excited. Now that we’ve got one under our belt, we’ll continue to grow bigger and better every year!” Banic said.